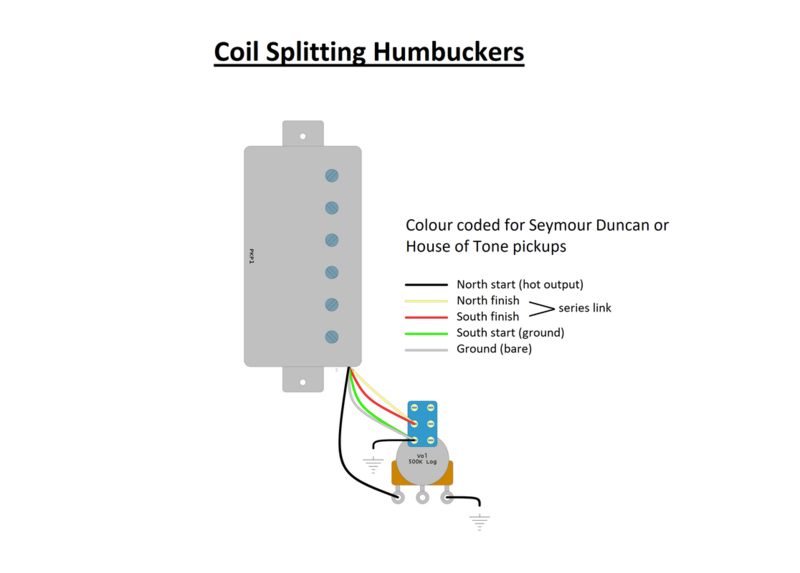 The below diagram demonstrates how to coil split humbuckers using a push pull volume control. 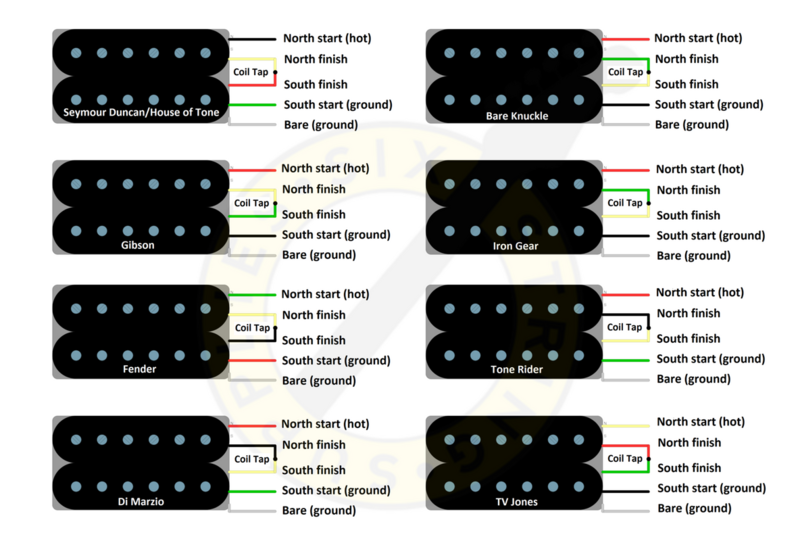 Note - the colour codes in this video and diagram are suitable for Seymour Duncan or House of Tone pickups. Pay attention - nearly every pickup manufacturer uses the same four colours (black, white, red and green) but in a different order. For example, the hot output in a Seymour Duncan pickup is typically black, but in a Gibson it is typically red and in a Fender humbucker it is typically green! Confused? The handy chart below defines the colour codes for major pickup manufacturers. However, it is best to heck with the manufacturer (most pickups come with installation instructions anyway). Remember, the bare/naked wire is always the ground.